If you own an iPhone or an iPad you will be well aware of the limitations of your device when it comes to storage and the quantity of data that you are trying to store on it. To make it simpler the iPhone and iPad now have great quality cameras, and it takes a lot of drive space to store these high quality images and videos. Hopefully the new standards (HEVC and HEIF) being adopted with better compression will go some way to resolve this. 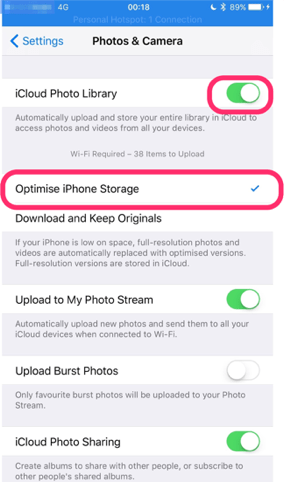 The easiest method to free up space is to use iCloud Photo Library and choose the option for Optimize iPhone/iPad Storage. This comes with the proviso that some of your photos and videos will be only available in iCloud and that you will be using bandwidth be it WIFI or cellular to access them. Go to: Settings > then scroll down to Photos & Camera. And then turn ON iCloud Photo Library. 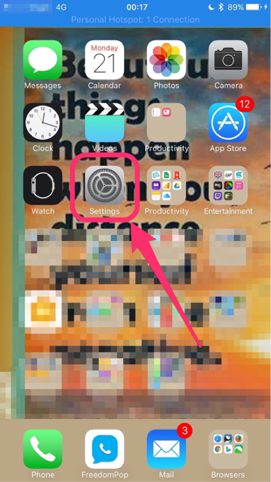 Optimize iPhone/iPad Storage must be turned ON , If doing this for the first time it would be advisable to do this while using a fast unmetered internet connection.